We start our journey into Amerika-Mura (American Village) proper. 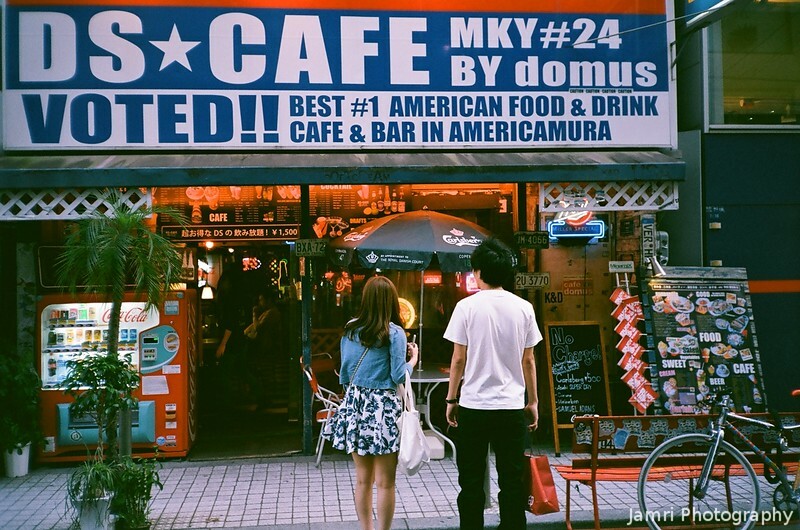 Amerika-Mura is an enclave of American themed shops, restaurants, nightclubs, bars and cafes in Osaka. It's a Japanese version of America, but the businesses are all Japanese owned. Some places do employ American people to work there, but not many. I guess the food is not all that authentic (but I've never been to America), I did find the best sandwiches in Japan in a sandwich shop there.